Goddess Parvati is Ambika, Kali, Girija, Sarvamangala and Durga. As many devotees, so is the number of forms of Goddess Parvati. She appears in the form that her devotee wishes for. The forms of Maa Parvati are unimaginable. The forms that we see, hear, read and imagine are minuscule. Ignorant minds project ignorant forms, but she is mother so she appears in that form to please her children. She is Sarvamangala for many as she ushers in positivity and auspiciousness. She is Ambika because she is the mother of all creation. She is Girija because in the form of Goddess Parvati she is the daughter of Himavan, the king of mountains. When Shiva withdraws from the materialistic world, creation comes to a standstill. There is stillness all around. Darkness envelops the universe. There is no living form. There is no sound and light. Mother Goddess Shakti then appears as Goddess Parvati to remind Shiva about his inert state. She draws him out and the cycle of creation begins. It is because of Goddess Parvati that there is reproduction in the universe. She preserves the world. Each region and each Hindu community have a form of Goddess Parvati. In Tamil Nadu, she is the fierce all conquering warrior Madurai Meenakshi. She will only submit before Shiva who takes form of the most handsome man in the world Sundareswarar. No one knows about the forms she has appeared and she will appear. 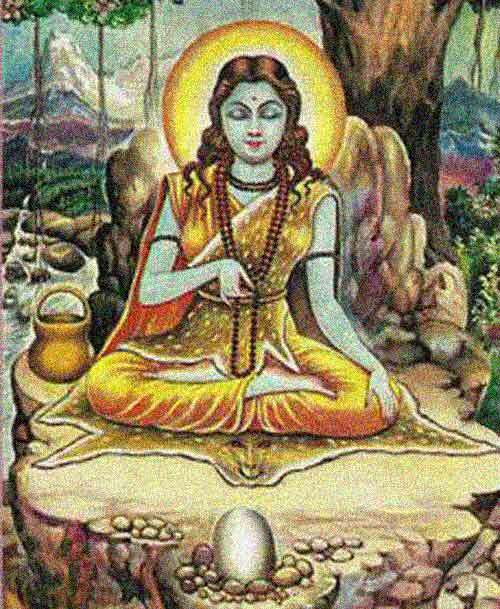 She will appear in any form that the devotee wishes for. 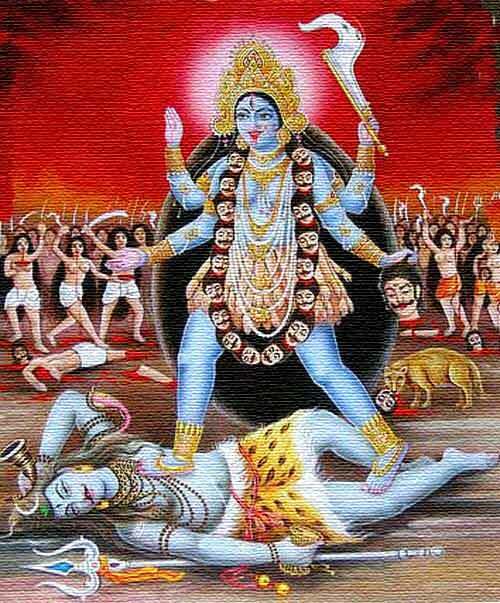 She is lover, dedicated and loving wife, she is mother and she is also the all conquering fierce Kali. Parvati is a reincarnation of Sati. Sati takes her own life in Daksha yajna as she is not able to tolerate the insult hurled at her husband, Shiva, by her father Daksha. Sati or Goddess Parvati they are all Mother Goddess Shakti. Shiva withdraws from the world and now Mother Goddess appears as Parvati to bring Shiva back to the world. Goddess Parvati is born as the daughter of Himavan and from a young age she is devoted to Shiva. She performs complete penance. She does Tapasya that has never been heard of. But Shiva is not moved. Finally, Gods take the help of Kama, the God of love. Kama shot arrows at Siva, which in return, angered him. Shiva burns Kama to ashes. Parvati becomes even more determined. The intensity of her austerities finally make Shiva appear before her. 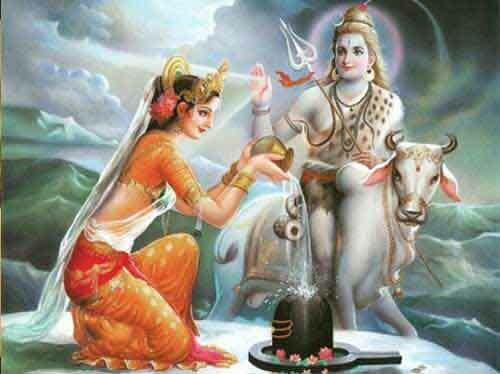 The marriage of Shiva and Parvati happens. Shiva and Parvati spent their time on Mount Kailasa and here they discuss Yoga, philosophy and almost all the popular teachings in Hinduism. She is also the mother of Kartikeya and Andhaka. 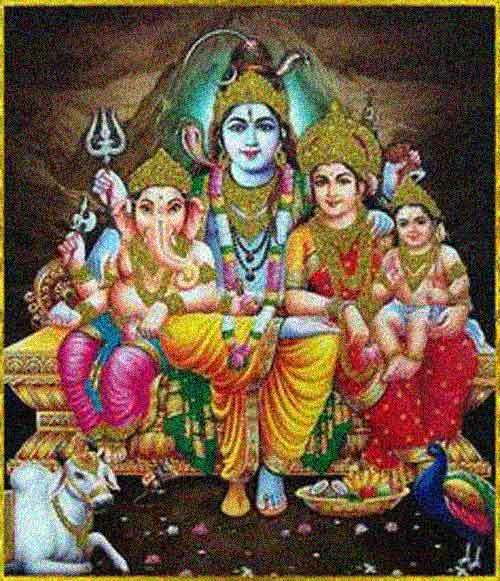 Puranas are filled with hundreds of incidents from the family life of Shiva and Goddess Parvati. Their tiffs and love all end in the welfare of all living begins. Each incident provides a new insight into life. Goddess Parvati rubs her skin and from the dead skin cells appear her son. This incident shows that She is the mother that creates life. Her son had a bigger role in the universe and for this she creates a confrontation between her son and her husband Shiva and this leads to the boy having an elephant head. Ganesha is born and nothing moves in the world without his blessing. Goddess Parvati is romantic, quiet, dutiful wife and mother. But when Adharma raises its head, she is dark and violent and not even Shiva can stop her terror. There is no end to her forms and leelas. All her actions are for the welfare of the universe. Without Parvati, Shiva remains in an inert state and powerless. There is no creation. Even if He wishes creation cannot happen. For this He needs Parvati – prakriti. Parvati as Shakti completes Shiva. Creation happens because of their love and union. They both are the ultimate reality. The universe comes to an end when they separate. The cycle of creation begins when they come together. This is clearly demonstrated when Goddess Sati withdraws from the world. Shiva is furious and goes about destroying the universe and then goes in a state of stillness. Both the forms result in destruction. No power in the universe can hold the energy of Shiva. Only Goddess Parvati can hold the energy of Shiva and direct it towards creation. When the energy of Shiva is not directed towards creation, it becomes destructive and there is apocalypse. Shiva is Bholenath – the innocent one. His ascetic state and sexual state are of extremes. Only Goddess Parvati can mend him and provide stability. For the universe to be stable, Shiva should be stable and this stability can only happen when Goddess Parvati is with Shiva.